10th anniversary, day 3. Another important part of my artist career - school uniforms. When I watched this anime I was pissed why the main guy forced Manaka to switch to their ugly blueish one, when this one looks far cooler. 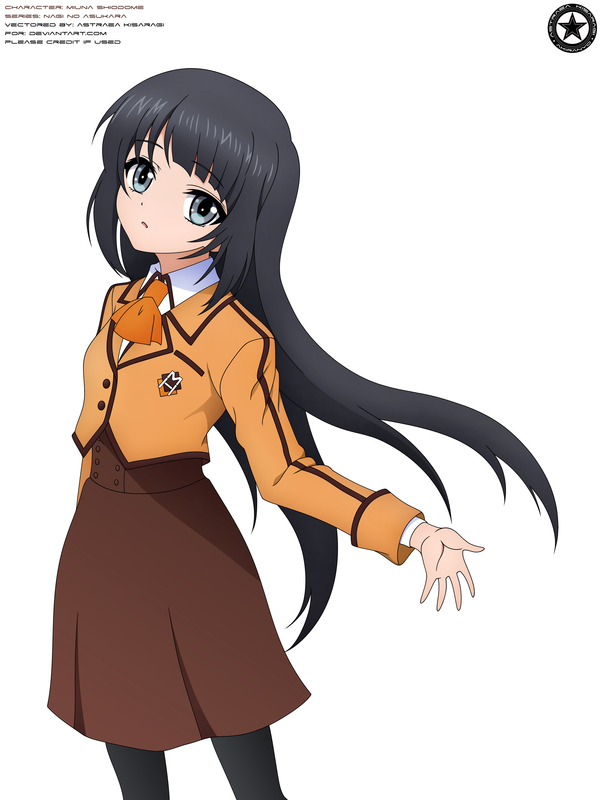 I decided between Sayu and Miuna who should be my model for this uniform and decided for the latter one. Compared the source picture, she has redesigned eyes according the official art design of Nagi no Asukara and slightly changed outlining.